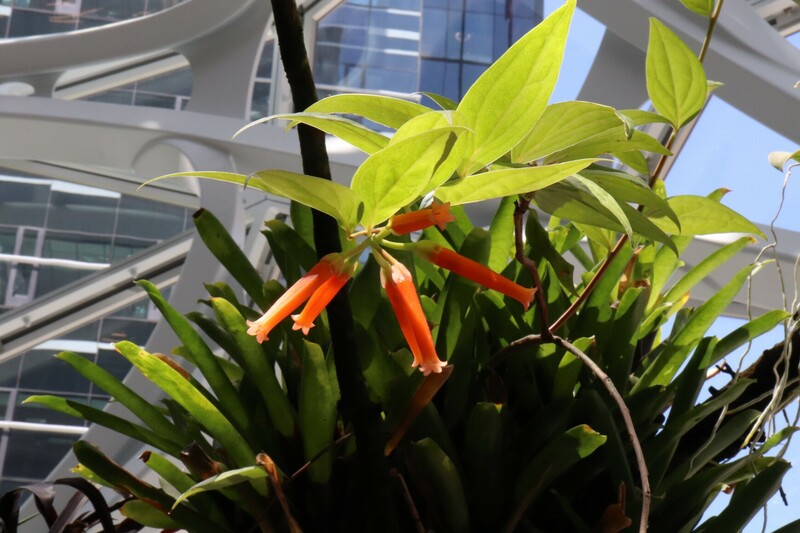 This rare plant usually takes about seven years to produce its first bloom, which only remains open for about 48 hours. July 17, 2018: This Macleania species is a tropical member of the blueberry family Ericaceae, and can be found growing epiphytically as seen in this photo. 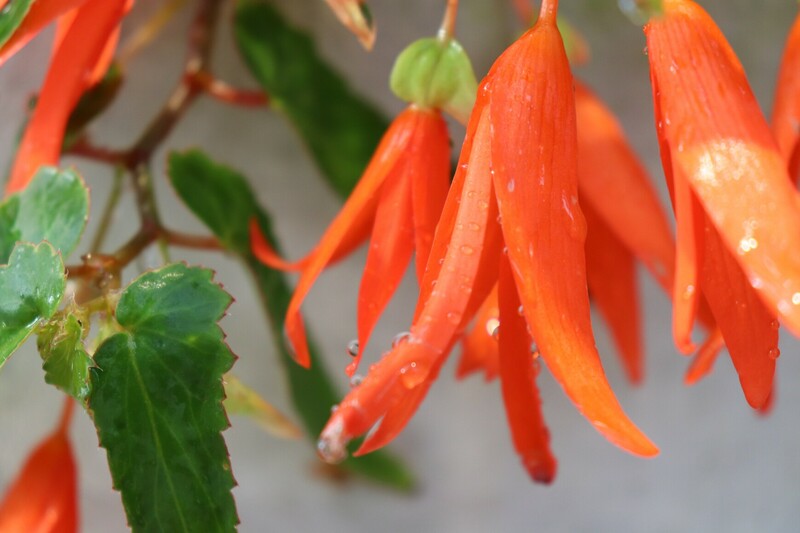 The tubular flowers are vibrant shades of red, orange, pink, and white and attract hummingbirds as pollinators. The flowers form edible fruits that are lightly sweet and full of antioxidants. June 1, 2018: Passiflora antioquiensis is native to Colombia and is also known as the "red banana passion fruit" because of the elongated fruit it produces which ripens to a yellow color. 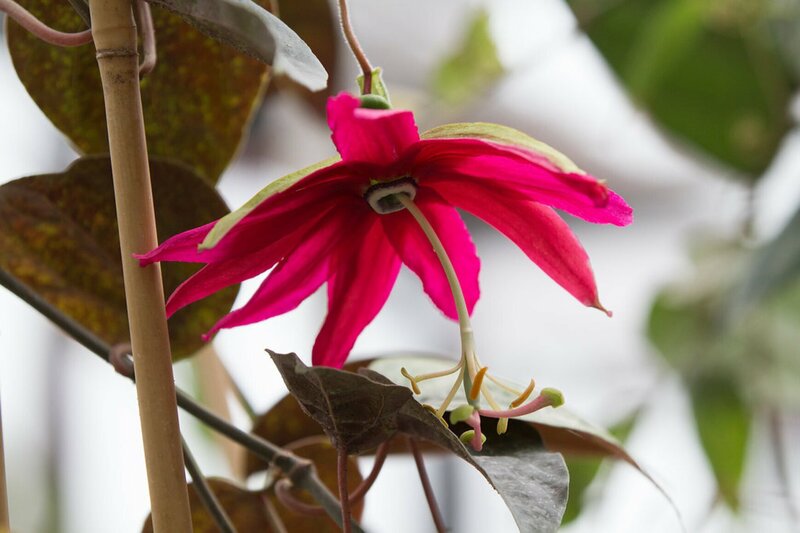 Its red flower, as seen here, hangs from vines up to two feet in length and lasts up to four days. 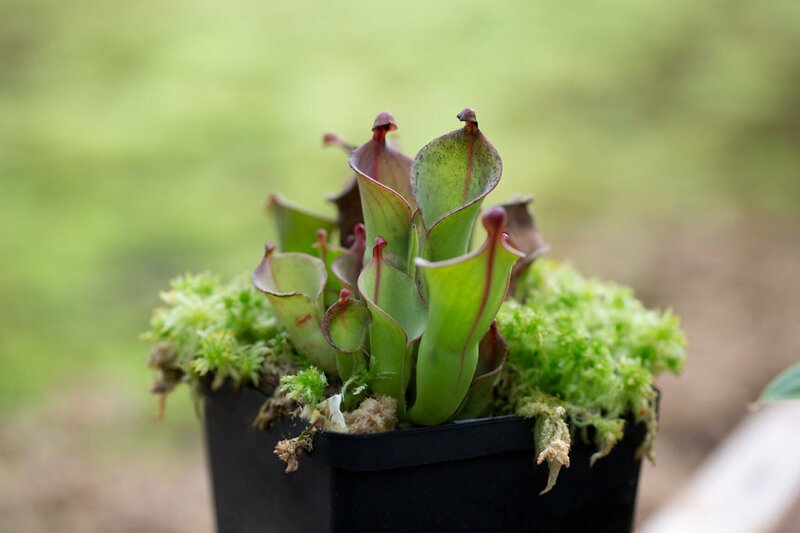 May 25, 2018: is specimen is one of 23 recognized species in Heliamphora genus. Related to North American pitcher plants, these carnivorous plants can be found at high elevations of the South American Tepuis, or table-top mountains. May 18, 2018: The beauty of nature! The elephant foot yam is grown as a food crop in parts of Africa and Asia. It is a member of the corpse flower family. You may be familiar with its cousin the Titan Arum. To attract its carrion-loving pollinators, this plant produces heat and gives off the smell of decaying meat. The flower is in bloom for only about five days. 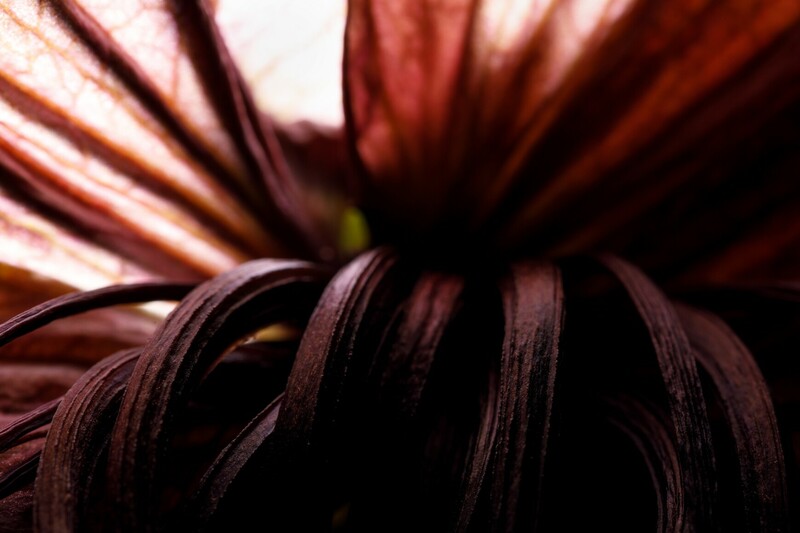 May 7, 2018: Tacca chantrieri, also known as the bat flower, is most notable for its large, black flowers, which can be up to 12 inches across. They have a wide native distribution across Southeast Asia where they thrive in the shade of the understory. May 3, 2018: Anguloa ruckeri is a type of tulip orchid native to Venezuela. 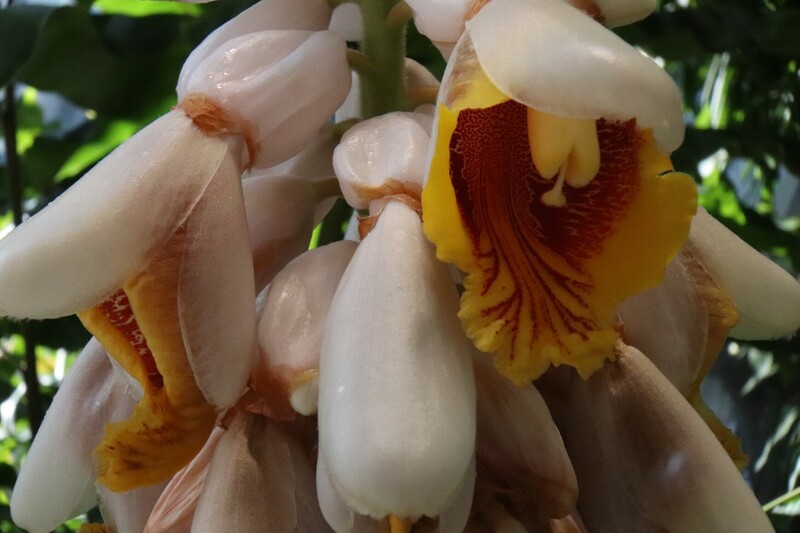 It gives off a spicy fragrance that attracts male Euglossine bees. These bees collect the fragrance from the flowers and store it in their hind legs in order to attract a mate. 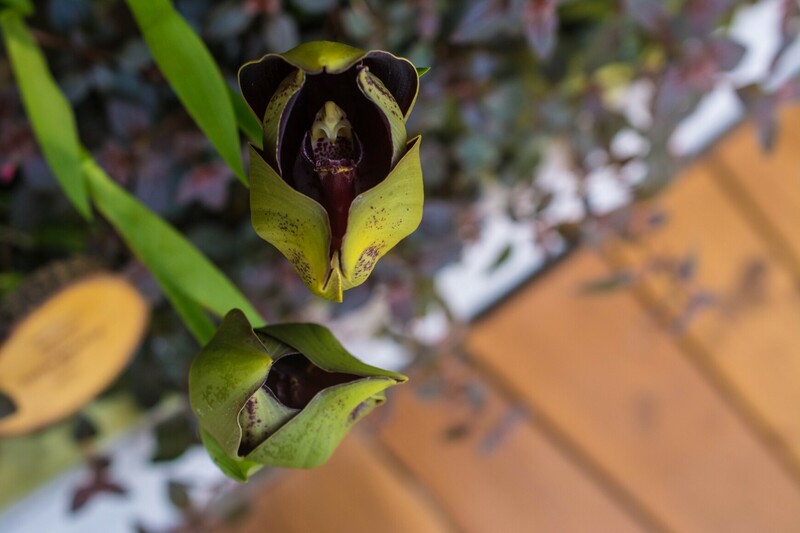 The orchid is pollinated during the collection process. 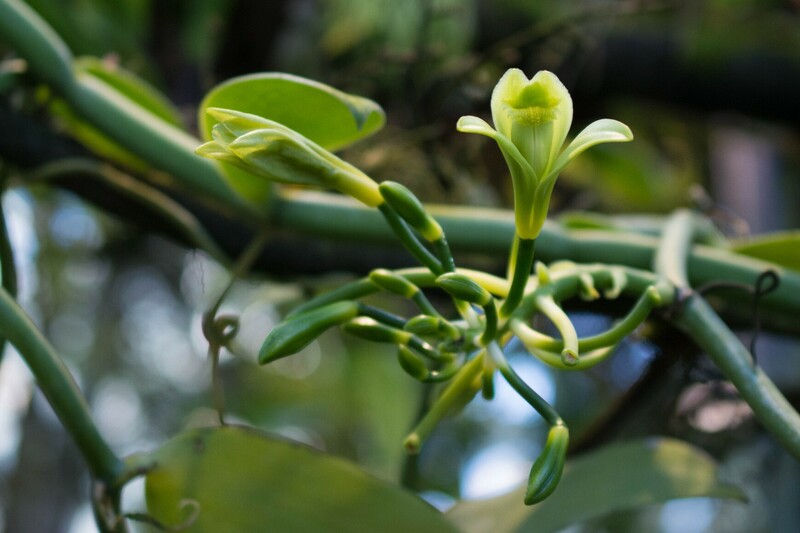 April 24, 2018: Vanilla planifolia, a vining orchid native to Mexico and Central America, is the primary source of vanilla flavoring. The individual flowers bloom for only about a day. April 18, 2018: Rhododendron taxifolium is native to a single mountaintop on the island of Luzon in the Philippines. It is believed to be extinct in the wild. 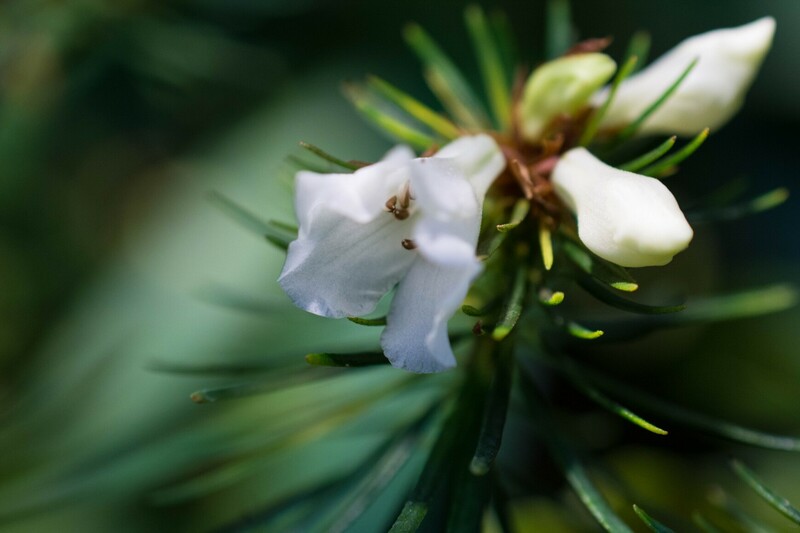 This specimen came to The Spheres from the Rhododendron Species Garden in Federal Way, WA. 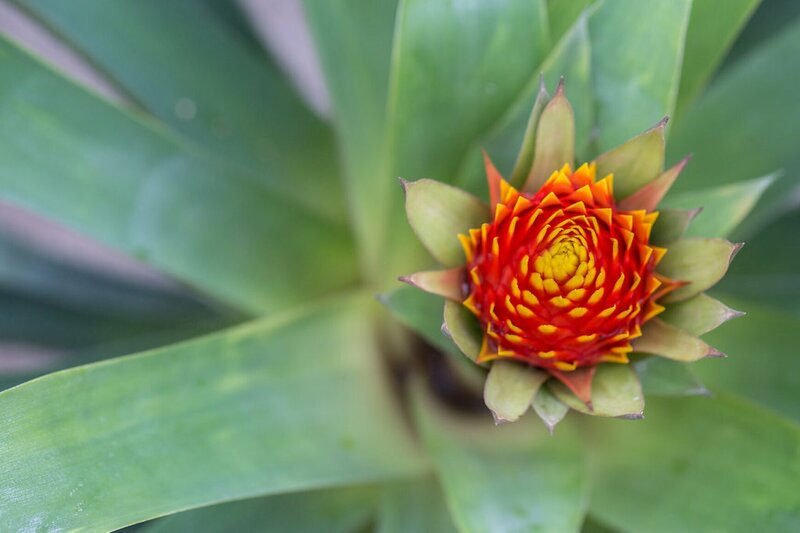 April 9, 2018: Guzmania conifera is a beautiful bromeliad native to Ecuador and Peru. The flower typically begins to bloom in early spring and lasts for several months. You may have come across this plant's cousin - the pineapple. This specimen is a tissue cultured plant from the Atlanta Botanical Garden. It is one of the first plants our collection.